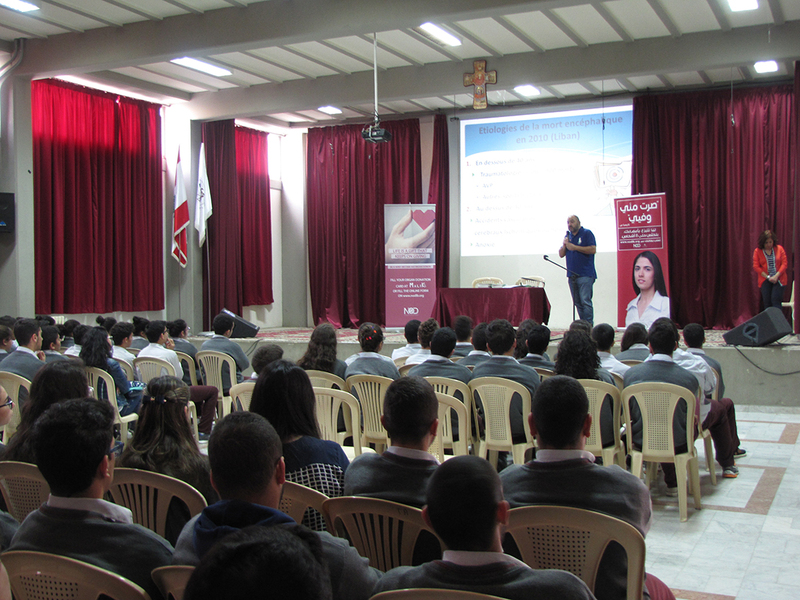 Teacher Rita Harouni from St. Rock School organized a conference on organ donation to the students. Dr. F. Sayegh and Mrs. O. Hakim represented NOD Lb and explained the system and procedures to the students. Later Mrs. Harouni wrote an article on organ donation in the school’s newsletter.